Strive is one of the finalists for the Not-For-Profit Organization of the Year! Strive was nominated and selected as one of the fina lists by the Burnaby Board of Trade and the City of Burnaby. 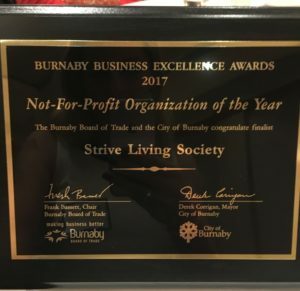 “For a Not-For-Profit organization that has made an outstanding contribution to the Burnaby community and its citizens, and in doing so has made Burnaby a better place to live, work, and play,” according to the Burnaby Board of Trade. Thank you for this tremendous honour. Strive relocated its head office to Burnaby last November and this is an excellent culmination to that year. 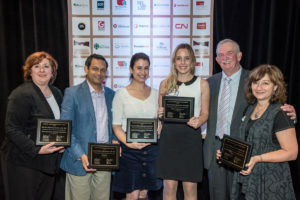 We wish to take this opportunity to give our most heartfelt thanks to our dedicated employees, volunteers, board of directors, and the participants who utilize our programs. We look forward to continuing to grow roots within Burnaby and working with other organizations to foster inclusion and opportunities for individuals with diverse abilities. 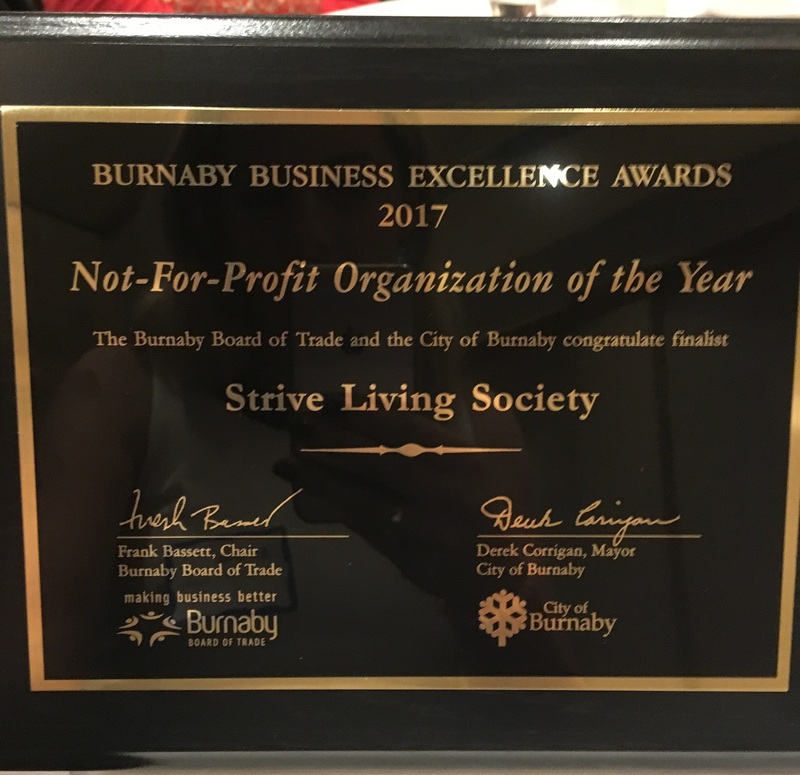 We believe the City of Burnaby and Strive share a common vision of providing the community with opportunities that engage and enrich the lives of all people.